The market analysis is designed to help local business leaders, entrepreneurs, developers, and economic development professionals understand the changing marketplace and identify business and real estate development opportunities that are realistic and make sense for their communities. To learn more click here. Riverfront Revitalization Survey – A baseline survey of Baraboo residents was conducted in 2007 to begin to evaluate the impact of the WI Department of Commerce funding. Another survey will be conducted after the riverfront revitalization has been completed. Click here for 2007 survey results. Sauk County is widely recognized for its diverse natural resource gems and a long history of conservation efforts. Recently a number of natural resource-related organizations and economic development entities from the Baraboo area gathered to discuss how they can collaborate and better support each other. 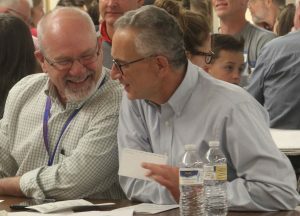 This assembly, known informally as “Fostering Collaborations,” formed a work group to assess the economic impact of all the natural resource-related organizations operating in Sauk County. A survey was sent to these organizations to measure their economic impact (wages, jobs, etc.) and the survey included general questions about land holdings, visitors, and volunteer hours donated throughout 2016. The University of Wisconsin-Extension (UWEX) in Sauk County has collaborated with the Pink Lady Rail Transit Commission (PLRTC) to conduct periodic surveys of rail users on the Merrimac to Reedsburg freight rail line (26 miles) since 1988. The purpose of this effort is to track rail usage and assess the economic impact of the rail line to Sauk County’s economy. Over the years, this partnership has produced significant impacts. Previous reports have helped prevent the Chicago & North Western Railway’s rail abandonment in the 1990s. This work also influenced the State of Wisconsin’s decision to purchase the Madison to Reedsburg rail line in 2014. In 2016 the PLRTC requested that UWEX conduct a five-year follow up to their 2010 study. How fast is your internet? Check out the results of UWEX’s broadband demand survey conducted in the Spring Green area. Access to high-speed broadband Internet is essential to the future success of our rural communities. It creates economic growth, expands access to quality healthcare, enhances educational opportunities, and improves our quality of life. Sauk County UWEX designed and conducted an Internet demand survey that asked residents in the village and town of Spring Green about their current Internet service and their need for high-speed broadband. The detailed information gathered was used to support a PSC Broadband Expansion Grant application (https://psc.wi.gov/Pages/Programs/BroadbandGrants.aspx). The response from Spring Green was loud and clear. Check out what they said in the 2018 Spring Green Internet Report Final. In this community improvement program volunteers from two similar communities (size, location, county seat, etc.) agree to do unannounced exchange visits and then report on their findings. Participants became “secret shoppers” for the day to discover what they can about their sister city. They follow procedures and reporting guidelines in a fully developed manual, which is copied for each participant. The manual helps ensure that the evaluations and reports are thorough and somewhat uniform and minimize the training of volunteers. The CEDPI helps communities analyze their strengths and weaknesses before developing a plan to improve economic development opportunities in the community. Index results provide a reflection on your community’s readiness to retain existing businesses and income; attract new businesses, residents, and income; and expand small businesses and income within the community. 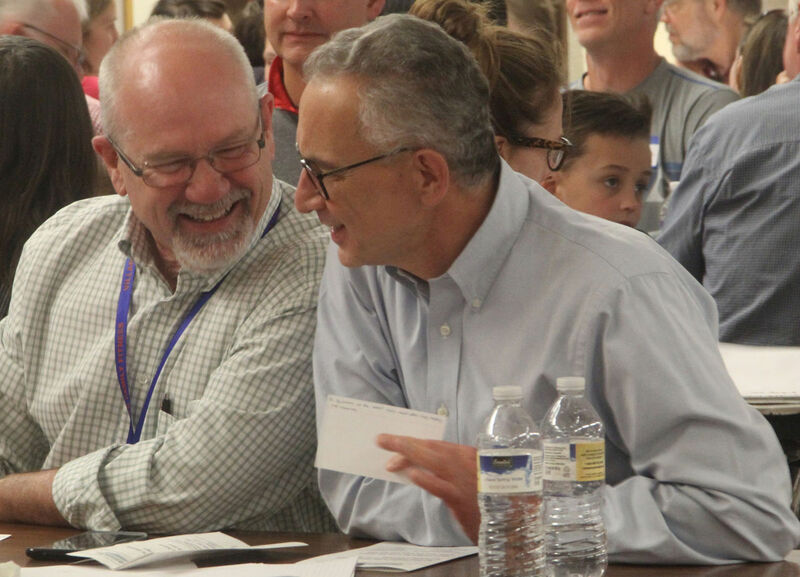 On May 4, 2017, a group of 21 planning and design professionals found their way to Reedsburg, Wisconsin to dedicate their time and expertise in hopes of helping the community discover their shared vision for the future. The Design Reedsburg Final Report documents the outcomes of the Design Wisconsin Team’s visit. places in which people want to live, work, play and learn.